What can the hobbyist do? 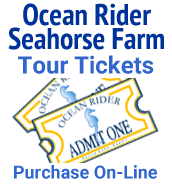 The hobbyist is now able to participate in alleviating the pressure on the wild population of seahorses by choosing a farm raised seahorse from Ocean Rider while at the same time enjoying one of the special treasures of the sea. You can also get involved in education and ocean awareness programs offered by many groups and local Aquariums and Zoos.